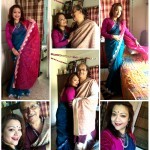 100sareepact | Blue Pool Crepe Splash !!!!! Blue Pool Crepe Splash !!!!! It can be ‘Neela Aasmaan’, or ‘Blue sky and white clouds’, or ‘Summery splash’!!! 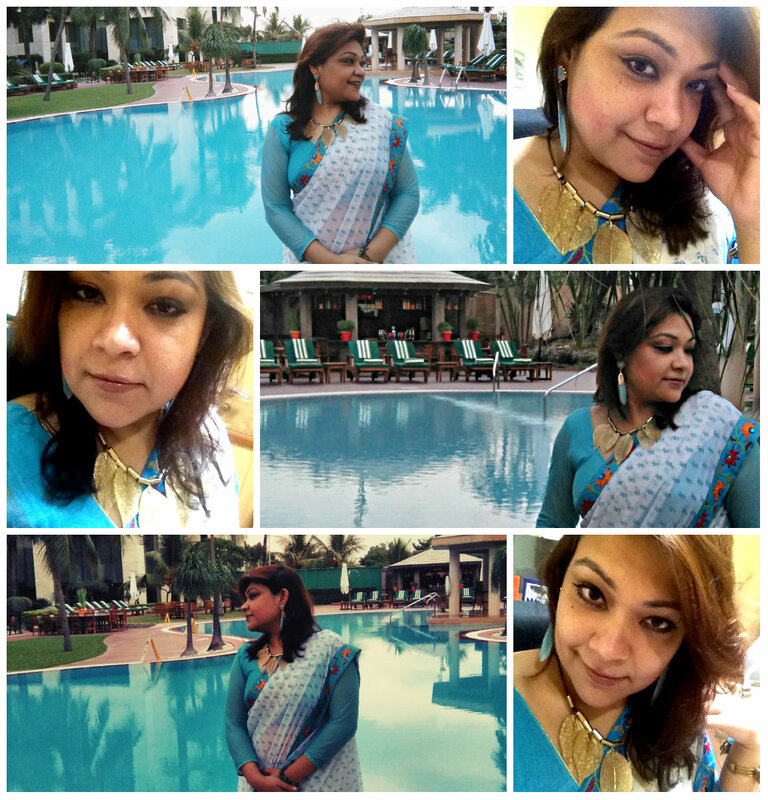 Cut to the upcoming winter of 2015, 60/100 #100sareepact moment ultimately got shot in front of the wonderfully landscaped pool, with the lazy afternoon sky behind!! My office colleagues were too excited about these candid shots and wondered how I will portray this in the story!! 60/100 is a pure white crepe, with sky blue leafy print in the entire body. The borders are mounded by heavy colourful embroidery work. The look was complete with my three quarter net-sky blue blouse, leafy golden neck-piece and sky blue-leaf earpiece, the latter being the newest on-line purchase. It will be a long break after this story, so chill, have pools of thought and drown the imaginations in the #ShadesOfBlue! Have a wonderful Diwali ahead!! !